Explanation: What's cooking on Io? This active moon of Jupiter is marked with volcanoes spewing lava that is now known to be hotter than any lava on Earth. 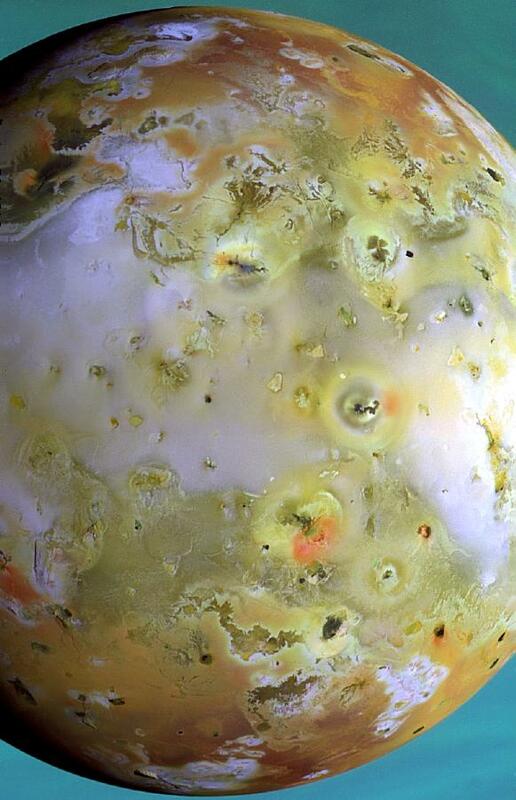 Above is the highest resolution color-enhanced image yet composed of the most active surface in our Solar System. Features as small as three kilometers are visible. 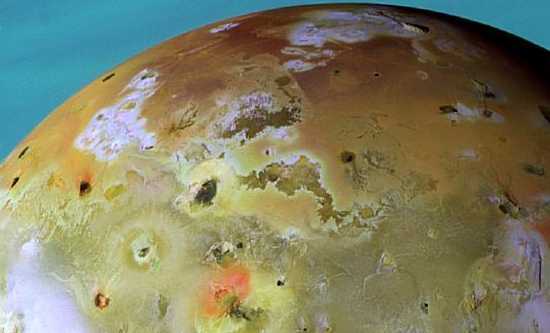 Sulfur compounds cause many of Io's unusual colors, while darker regions are probably composed of silicate rock.